It was the middle of March, I was six months pregnant, and our Christmas tree still stood tall in the formal living room. Angry as hell knowing that I had asked my husband to take it down at least twenty times, my huge pregnant belly and I decided to take matters into my own hands. I reached up and pulled that Christmas evergreen down by the top until it loudly crashed to the floor. I proceeded to drag it, metal base screeching across our hardwoods, out the back door. I swung open the back door and tossed the whole damn thing – lights, base, and all – down into the back yard, calling my husband every name in the book on the way. This was probably one of the lowest points in our otherwise beautifully, perfect marriage. I was mostly confused – why is my husband so overwhelmingly tired all of the time? Why can’t he seem to focus? Why does he seem so anxious? Our first son was born in mid-June and my husband’s tiredness and stress levels continued to progress. My thoughts: “I’m the one that just gave birth! Why are YOU so tired?” And possibly the most heartbreaking to this day – “Why aren’t you being the dad I always thought you would be?” It was most likely around 2:00 AM one night when these thoughts were verbalized. I spoke words I didn’t mean, he spoke words he didn’t mean – our once blissful marriage and friendship was broken and we didn’t understand why. We pushed through the motions of raising a new baby, working, making dinner, getting showers, paying bills – and then we admitted something was very wrong. Beginning in November, my husband endured a series of medical tests – X-rays, CT Scans, PET Scans, CT Biopsies, and then there it was – the call that changed it all. At the age of 29, my husband was diagnosed with Cancer, specifically Hodgkin’s Lymphoma. We suppressed previous arguments and emotions in an effort to survive – emotionally, mentally, spiritually, and physically. For the next five months, it didn’t matter how we felt before the diagnosis. The conversations we needed to have – the answers that now seemed to make everything so clear – I wasn’t angry with my husband, I was angry at how cancer had affected my husband even BEFORE we knew he was sick. The regret is that the anger I had suppressed reemerged once he was all clear, cancer free. There is a saying that spoken words are like dispensed toothpaste – it’s awful hard to get it to go back in the tube. I remembered the anger I experienced of feeling incredibly alone as a new mom, I remembered the heartbreak I felt from the words spoken during those 2:00 AM fights, and I’ve learned over the past few years, I’m not a great forgiver. 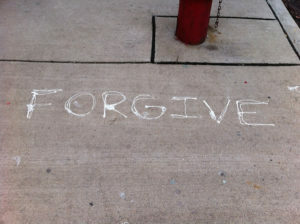 The art of forgiveness is a skill and act of grace I work on daily. We had to revisit many of those painful moments after the battle of cancer and chemo in order to move forward. We have grown in ways as husband and wife that will undoubtedly bond us for life and now spend most of our days in bountiful happiness. Here is the caregiver’s lesson in a nutshell – it is likely that your loved one experienced the effects of his or her illness BEFORE you (or anyone else) knew that they were sick. Do yourself possibly the hugest favor in life – forgive your loved one and forgive yourself for the things you (they) did (or didn’t) do, for the things you (they) did (or didn’t) say before and during the process of cancer. 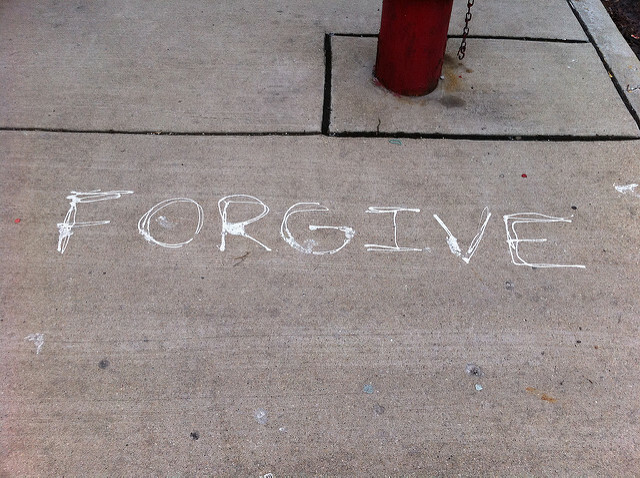 Forgiving yourself and your loved one is life altering – immensely, incredibly, life changing for the good.